Face to Face the Savills Garden 2016 by Andrew Christopher Dunne. As part of Savill’s community engagement in Dublin they joined the Docklands Arts Fund as Champions. The first collaboration was to ensure their stunning 2016 Bloom Garden, designed by Andrew Christopher Dunne, would have a legacy in two community gardens in docklands. Savills have some terrific schemes coming up in the years ahead in Dublin’s docklands – an area which is due to see residents double from 30,000 to 60,000, and workers in docklands grow from just over 30,000 now to almost 70,000 within the next 10 years. The Savills & Docklands Arts Fund team worked together with two community gardens, to plan what would happen to the Savills’ Bloom Garden 2016 once the Festival was over. 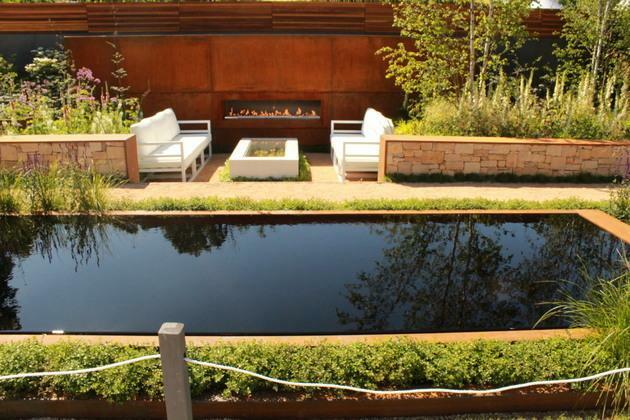 The Garden Designer Andrew Christopher Dunne’s concept ‘Face to Face’, was all about personal interaction, and the importance of taking a moment to enjoy conversation in Dublin’s lush green surroundings. Andrew was keen with the support of Savills that some of his Gold Medal Awarded show garden Face to Face live on in docklands post-festival. Plans were made with two community garden teams, one in East Wall, and one in Ringsend, to ensure the garden would live on. After Bloom, where many of the gardeners had a chance to chat to Andrew Christopher Dunne, some of the plants made their way into the ground with the green fingered support of two great garden teams – the 4th Port Ringsend Sea Scouts garden team led by Joe McCann, and the East Wall Men’s Sheds Community Garden Project, through Paul Maher & Nascadh at the Sean O’Casey Centre in East Wall. This project celebrates the legacy of design and collaboration, long term, with a reminder that the huge expanse of Dublin’s docklands is made up of tiny little pockets of industry with passionate resourceful people making great things happen, step by step. 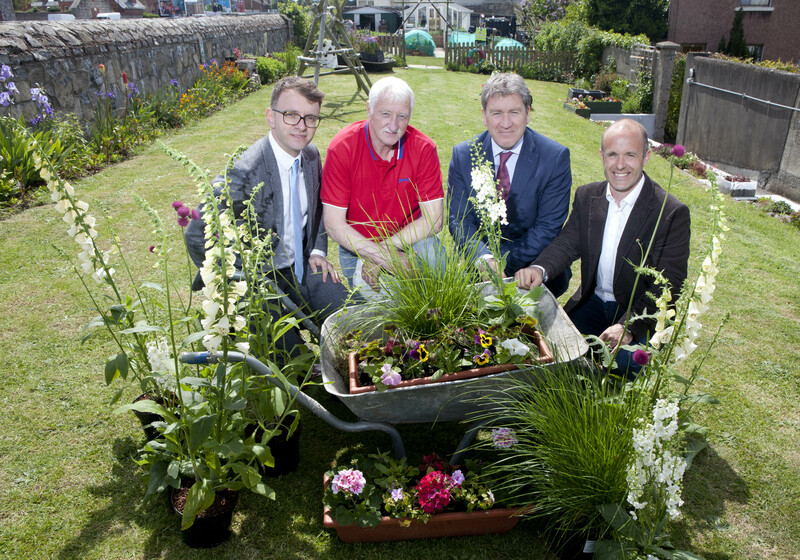 Pictured l-r: Andrew Hetherington, Chief Executive Business to Arts, Joe McCann, Community Gardener, Angus Potterton, Managing Director Savills Ireland, and Andrew Christopher Dunne Designer of Face to Face the 2016 Bloom Savills Garden. 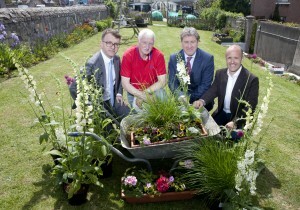 Picture Fennell Photography, taken in 4th Port Sea Scouts Garden in Ringsend.